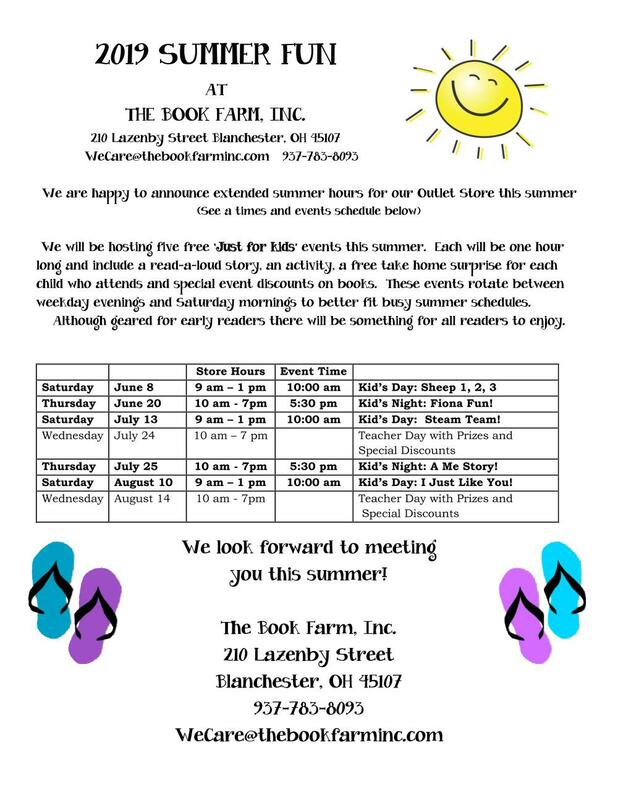 We are happy to announce extended summer hours for our Outlet Store this summer (See a times and events schedule below) We will be hosting five free ‘Just for kids’ events this summer. Each will be one hour long and include a read-a-loud story, an activity, a free take home surprise for each child who attends and special event discounts on books. These events rotate between weekday evenings and Saturday mornings to better fit busy summer schedules. Although geared for early readers there will be something for all readers to enjoy. The printable calendar can be found -here! Please report any broken links to the Resource Center Curator - click here for email.